Retired homeowners over the age of 65 are struggling to find suitable houses to downsize to in retirement, a study has found. Research from equity release advisory firm Key Retirement claims one in three homeowners aged 65 and over are considering downsizing in the next five years to a more suitable home for retirement. However, the study also reveals that many retirees are struggling to move, as they can’t find the right home at the right price to do so. One knock-on effect is that this squeezes the next generations who would like to buy the over-65’s larger family homes, as less are put up for sale and prices for those that are on the market remain stubbornly high. According to the research, across the country more than 620,000 homeowners over 65 say they have looked into downsizing but cannot find a suitable home in their area. Meanwhile another 500,000 say they’ve considered moving but would not be better off financially as a result. The average number of homes listed for sale on estate agents’ books is at a near all-time low at 43, according to the Royal Institution of Chartered Surveyors, exacerbating the shortage of options for older homeowners. Figures from Legal & General also suggest that the UK has a ‘chronic under-supply’ of retirement homes with only 7,000 homes delivered to this sector last year – making it the most under-supplied area of the housing market. Homes specifically for the over-55s in the UK are also typically considerably more expensive than standard housing. This is in contrast to the 30,000 new retirement properties that need to be built just to meet current demand, according to think tank Demos. Just 1 per cent of British people in their 60s are living in retirement housing, compared with 13 per cent in Australia and New Zealand and 17 per cent in the USA. In those countries, retirement housing is a more established concept and not seen as something for old people. Rather developments are constructed as a place for over-55s or over-60s, with an emphasis on socialising, activity and community. In addition, most retirement properties in the UK are for rent, not for sale – an unappealing option to many older people, who for the most part own their existing homes. Market analysis by Inspired Villages in 2016 found that only 26 per cent of the 720,000 retirement properties in the UK were owner-occupied, enough to house the equivalent of just 2.7 per cent of older homeowners. However, it is not just the case that over-65s are seeking retirement housing. Many would also like to trade in a large detached family home for a smaller house, but one that comes with enough bedrooms for family and guests to stay over and a decent garden. Could an increase in retirement home building help solve the housing crisis? Demos believes that a growth in the supply of retirement housing would have significant positive implications for the rest of the housing chain. Analysis by the group showed that if the housing were available so that just half of those interested in downsizing were able to do so, 4 million older people would be able to move, freeing up 3.5 million homes. Over 2 million of these would be three-bedroom properties. Research from retirement housebuilder McCarthy & Stone in 2016 found that 3.5 million people aged 60+ expressed an interest in buying a retirement property. According to Demos, this could set off a property chain reaction, freeing up homes for families making their second or third move, and in turn boosting the number of houses available at the bottom of the chain to first-time buyers. ‘This is a win–win situation,’ said Demos’ Claudia Wood. ‘By improving the supply of older people’s housing, we can meet demand among older people and then, in turn, for families looking for larger homes, and first-time buyers. According to the think tank’s analysis however, there are two main barriers to supply of retirement properties in the current market, the first being a lack of recognition of the housing needs of older people in local planning and the second being a planning charges regime that makes retirement developments uncompetitive. Demos says the result is that retirement developers are often out-bid for land for their sites, or spend excessive amounts of time and money negotiating and appealing planning decisions. Demos believes that to help remedy this the Government should consider introducing a stamp duty exemption for older people moving to retirement housing, and an exemption on certain planning charges for retirement developments. Should you downsize or stay put? Caroline Abrahams, charity director at Age UK, said: ‘Downsizing works really well for some people and helps boost their retirement income, but by how much depends on a number of factors, particularly the amount of equity in the home they’re selling vis-à-vis the cost of their new home. Not being able to move to a smaller, more manageable home in retirement is a major concern as, according to the Key Retirement research, more than half of over-65s say keeping up with DIY jobs around the house is physically tough while 27 per cent say they struggle to afford maintenance on their homes. 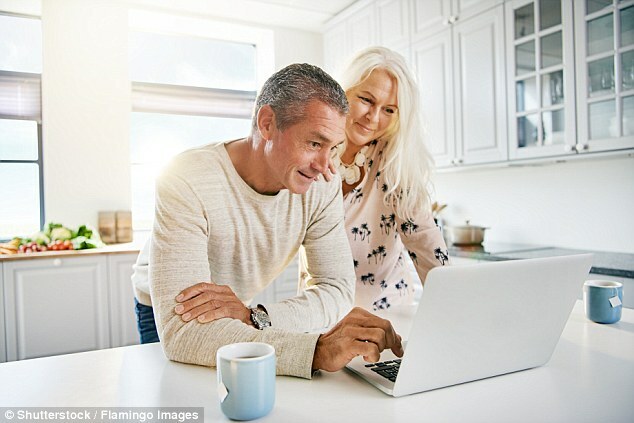 Just over two out of five over-65s homeowners have worries about bills and the need for repairs on their home and nearly one in five says their house is just too big for their needs. 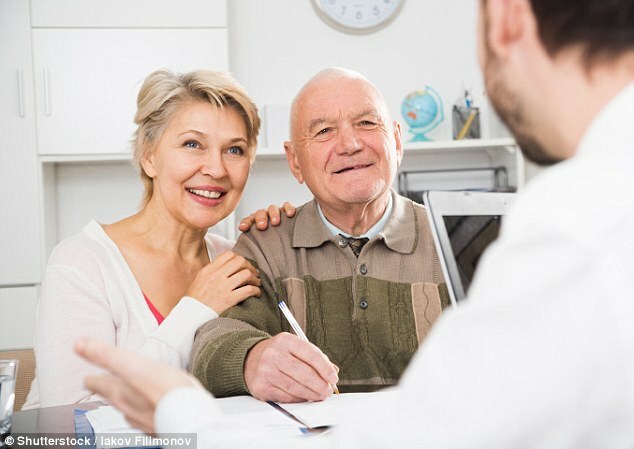 Dean Mirfin, of Key Retirement, said: ‘Despite the numbers of older homeowners wanting to downsize it is clear they face problems in finding suitable homes for retirement and for many the finances just don’t add up. There are lots of options when it comes to aids and adaptations and it is worth thinking carefully before investing a significant amount, since cheap things like handrails may be all that is really needed – at least early on. Housing Options is Age UK’s free information guide looking at the range of housing available for people in later life and can be accessed via the charity’s website or by calling Age UK’s advice line on 0800 055 6112. If you are considering moving to a retirement scheme it’s also important to weigh up the ongoing costs, which can mount up as they typically include services charges, administration fees, exit fees and ground rent. Should people cash in on homes to enjoy life or help their kids? As a generation retires with more money in their houses than the bank, it’s no surprise that a fresh wave of retirement interest-only mortgages is on the cards. Homeowners could have a more comfortable retirement, clear some debt, or hand the kids an early inheritance.